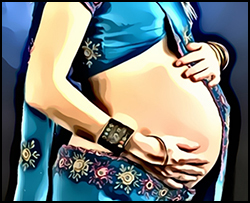 In Kerala, the diet during pregnancy and postpartum varies from place to place. Strict diet plans are mainly observed towards the southern part of Kerala. During the early months of pregnancy, normal diet is taken including more of vegetables and fruits. Both in pregnancy & postpartum, recipes which are steamed are mainly taken for breakfast. This includes puttu, idli, idiyappam etc. For lunch & dinner, rice is preferred. Steamed hot rice is put on some moringa leaves & kept for a while. This is taken & is good for health. Turmeric milk is often taken. This is may be processed with roots of bala (sida cordifolia) in some parts of Kerala. This is mainly taken in the night before bed. Turmeric milk not only enhances the growth of the fetus but also detoxifies the body. Rice flakes (aval), mainly red variety is taken in the morning or as evening snacks. Rice flakes are mixed with karupatti (a coarse, dark sugar, esp. that made from the sap of East Indian palm trees), sesame (black variety) and ripe banana. This food mainly helps to increase the iron content in the body. Butter milk added with ginger, curry leaves and small onions are taken after lunch to avoid heart burn and gas. Amalaki is dried and powdered. This is taken along with karupatti to increase the hemoglobin. This is taken twice a day after food. Sprouted green gram is taken in morning. This is steamed well before taking. Steaming helps to reduce the gas problems. Kozhukatta – this is an evening snack prepared in every homes of Kerala. Some may have it as breakfast also. Sweet dumpling made from rice flour, with a filling of grated coconut and karupatti. It is similar to modak made in other parts of India. From seventh month onwards, the intake of eggs, meat, rice etc is reduced. Ghee is used more. From 7th month onward, tea boiled with karupatti and ghee is taken in the morning. It is believed that this recipe detoxifies the mother’s body and helps the fetus to get a glowing skin. In ninth month, 1 tsp virgin oil (oil processed from coconut milk) should be taken in early morning. In some districts of Kerala, from seventh month onwards, chandana (Santalum album) & tulsi (Ocimum tenuiflorum) juice is taken in the early morning in empty stomach. During fever and cough in pregnancy, porridge prepared out of rice along with bala root (Sida cordifolia), lajjalu root (Mimosa pudica) and karupatti is taken. Towards the end of pregnancy, broken rice gruel (podiyari kanji) is taken. Fenugreek seeds, coriander seeds and cumin seeds are first soaked in coconut milk. This is ground well and mixed with gruel, along with a little quantity of coconut milk. This recipe helps to boost digestion, reduces heart burn and increases the breast milk. This recipe can also be given after delivery to boost the production of breast milk. 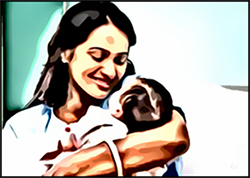 In Kerala, oil massage and bath begins in the seventh month of pregnancy. Dhanwantharam thailam is used commonly. Virgin oil is also used in some places. Karupatti is similar to jaggery but believed to have more medicinal properties. Seemantha nayana — this is a ritual in Kerala especially among the Brahmins. It involves the wearing of red or green glass bangles from the seventh month of gestation. The sound of these bangles is believed to reach the womb and comfort the fetus. Traditionally, these are removed after birth and given to the midwife. For the first two days after pregnancy, broken rice gruel (podiyari kanji) with little salt is given. Also normal bathing in lukewarm water is indicated in first two days. Next three days (3, 4 & 5th day) – 10 to 15 garlic cloves along with ghee and turmeric is sauted well and added to rice. Next three day (6, 7 & 8th day) – 10 to 15 shallots are also added to the above recipe. On 8th day 1 tsp. ajamoda/carom seeds ground in coconut milk is taken before lunch. On 9th day onwards rice with bran is taken for lunch and dinner. Ghee and turmeric is sauted and added to the rice. In some parts of Kerala, (especially northern side) jeeraka kanji (porridge with cumin) is taken in the morning for the first 4 days. Ulli lehyam (linctus made of shallots) is taken after breakfast. In northern side of Kerala, on 7th, 8th & 9th day mukkudi is given along with buttermilk after lunch. Mukkudi is a mixture of 24 drugs and given to cure stomach related problems. From 15th day onwards special preparation called olachakra (also called as idimarunu in some parts of Kerala) is taken in between breakfast and lunch. Rice along with fenugreek, black gram, ajamoda/carom seeds, horse gram, shathapushpa (Anethum graveolens), sesame etc. are roasted and ground well. This is made to bolus with karupatti and consumed. The ingredients may vary from place to place. Up to 14th day, kashaya is taken twice a day before food. Kashaya made of bala moola (roots of Sida cordifolia) & bilwa moola (roots of Aegle marmelos) is taken. This is taken along with coconut oil/ ghee/ jaggery. From 15th day to 30th day (1 month), arishta is taken. Mainly jeerakarishtm + dasamoolarishtm is taken twice daily after food. 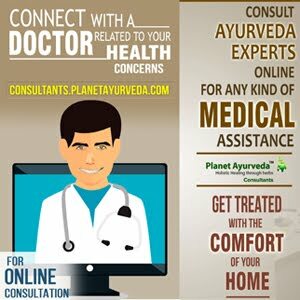 Rasayana medicines are included after 1 month of delivery. From 30th day onwards kozhimarunnu (medicine prepared out of chicken) is given along with lunch or dinner. Chicken is cut in to small pieces and crushed to have smooth cotton soft texture. This is then processed in gingelly oil, coconut oil, buffalo ghee & cow’s ghee. This is made to small cakes and stored. Some may take mutton broth after 40 days of delivery. In Kerala, for the first 1 month, teeth brushing are done with a mixture of umikari (activated charcoal from rice husk), dried pepper powder, cardamom powder and salt. After 2 days of delivery, oil massage and bath in hot water is indicated. In many places of Kerala, mukkoot oil is used for oil massage. Mukkoot oil is prepared from tripadi (desmodium trifolium), castor, ghee and coconut oil. Dhanwantharam thailam is also used. Water for bath may be boiled with nalpamara, castor leaves and other vata alleviating drugs. Abdominal binding is also done up to 27 days. There is no specific diet practice prevail in Kerala. It may vary according to place & midwives.